I busted my first UFO of the year!!! I put together this top last winter during my plus quilt phase. Most of the fabrics are what was left of a Rouenneries Deux jelly roll with some scraps thrown in for good measure. My original plan was for crosshatching but once I finished the first side I decided I was done happy with it. 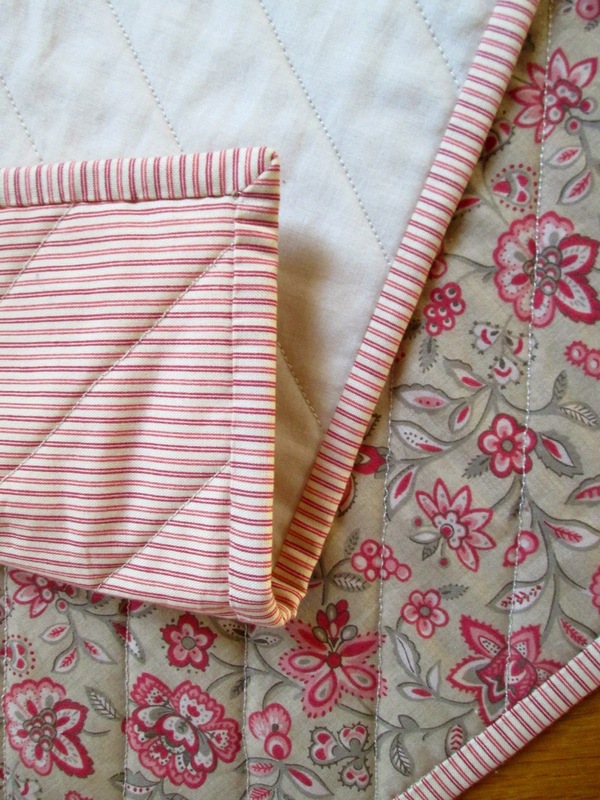 It's a more modern ascetic;-) Jacquie Gering has some great tips for straight-line quilting on her blog. It was too cold for a trip to the hardware store for 1 1/2" wide tape but next time I go I'm going to stock up... only marking every other row would definitely speed up the process! I used 28wt. 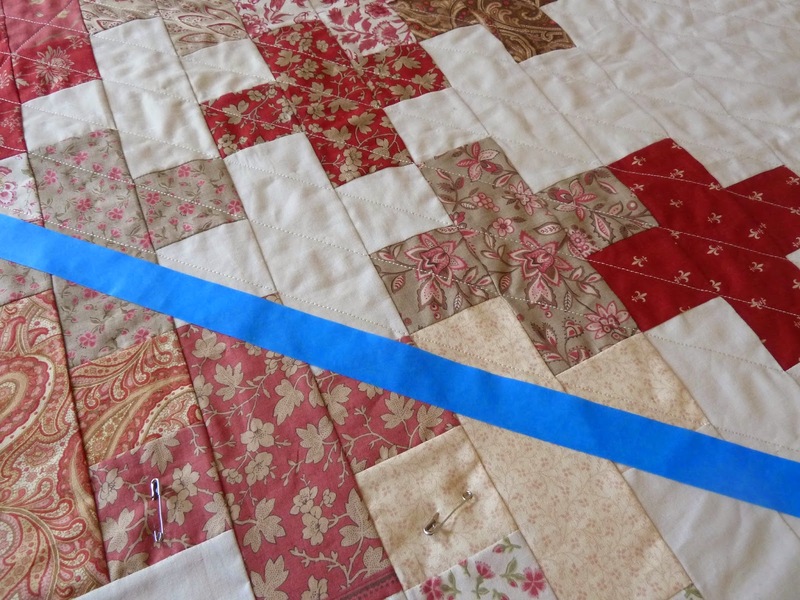 Aurifil thread to make the the straight line quilting a bit bolder. I love the extra texture it adds to the simple design. I was a little discouraged with this one after my binding debacle but look how perfectly these stripes lined up on the back! 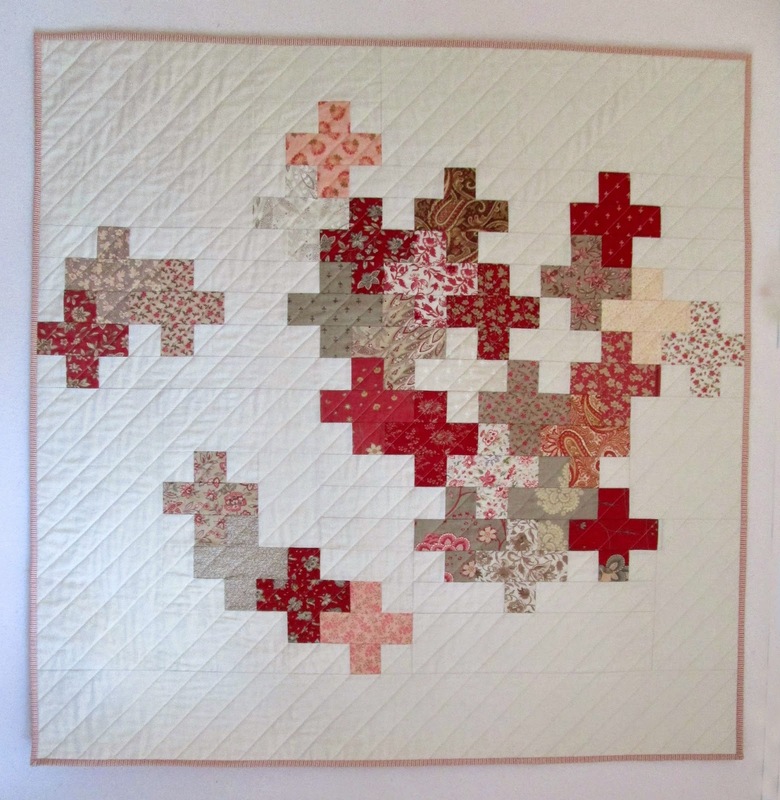 Linking up to the fabulous Finish it Up Friday by Crazy Mom Quilts and another check off my list for the 2015 Finish Along with On the Windy Side. Finished quilt is 46" x 46"
Fabrics: Rouenneries & Rouenneries Deux by French General. Assorted scraps. Thread: 28 wt. (grey spool) Aurifil in Light Beige (2310). That is so pretty! 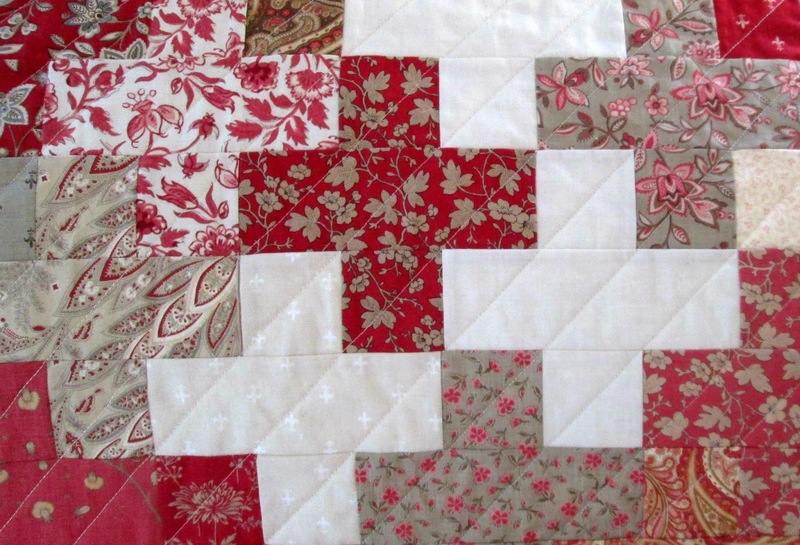 I love French General and am using it in the Modern Traditions Charm square quilt along now. It is particularly lovely with the matching pillow! The quilting looks great too! Beautiful quilt. The french general fabric and plus quilt pattern look great together. Beautiful! 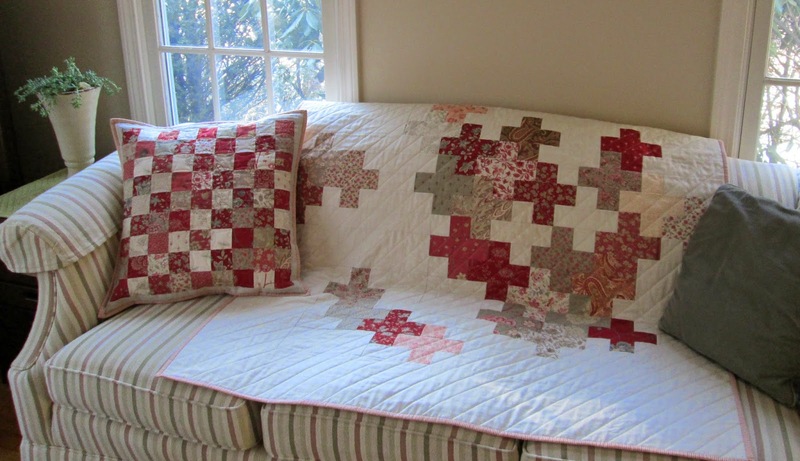 The quilt and pillow look lovely together! nice use of the plus block! Very pretty - such a classic colour combination!